I'm an individual who's not exactly convinced in coincidences, rather I reckon that everything happens for a reason and for greater good. Maybe we don't see it at certain point, but after a while when we look back, all puzzle snippets fall into place and the whole scheme becomes clear, as if it always should've been that way. I also believe that all living beings, artefacts and the very nature on planet Earth are inextricably linked by invisible threads that pulls us toward what is meant to be. 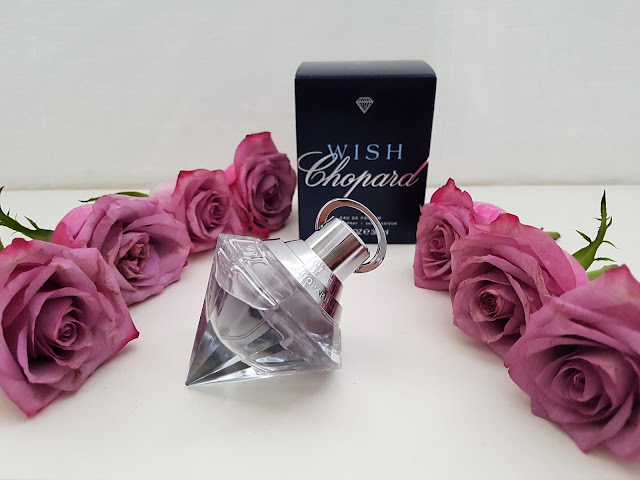 Today I'll share a story with you, one whose plausability even presently evokes perplexity, a tale of my incredible connection with Chopard Wish perfume. Ever since teenage days I recall two phrases: „Remember, diamonds are created under pressure“ and „You are diamond dear, they can't break you“, and they've become a guiding light in difficult occasions. As you know, diamonds are the strongest and unbreakable mineral in the world, and their astonishing beauty surfaces out from under the resounding pressure. No matter what circumstances I've encountered, I kept the faith that I will emerge victorious and triumphant and when I was on the verge of giving up, I'd bethink these wisdoms and marched on, gained new experience which would improve me as a person and prepare me for the next step in life. For a long time I've been searching for a jewelry item which I could wear as a constant reminder of that what encourages me. I wanted to have a diamond - not a stone, but an appendage that embodies its shape. However, I hadn't much success in finding the ideal one, in accordance to my fancies, until I in fortuity saw it in the Wish Jewelry store, displayed in a shopwindow, the bracelet pendant of my dreams. I bought it shortly before moving to Norway and for the first few months, during the period of accommodation to the new surroundings, I seldom took it off. A single swift glance on my wrist was enough for a fresh dose of strength and resoluteness. In the book that I read as achild, Pinocchio, hides a sentance of which I'm particularly fond to this day: „The most fantastic magical things can happen, and it all starts with a wish!“ For example, I desired to commence writing a blog, but I perpetually delayed and postponed it. I was unsure of myself and afraid how the people around me will react. Then I read somewhere: „You are never given a wish without also being given the power to make it come true.“ And that's entirely true! As time went by I realized and materialize the idea more and more, and the rewarding result is The Exclusive Beauty Diary. Pondering what I could mark as a logo, one object inevitably imposed itself – a diamond. Not just for what it personally means to me, but likewise because it simultaneously as a precious stone symbolizes exclusivity and luxury, which unmistakably and directly matches the name of the blog. 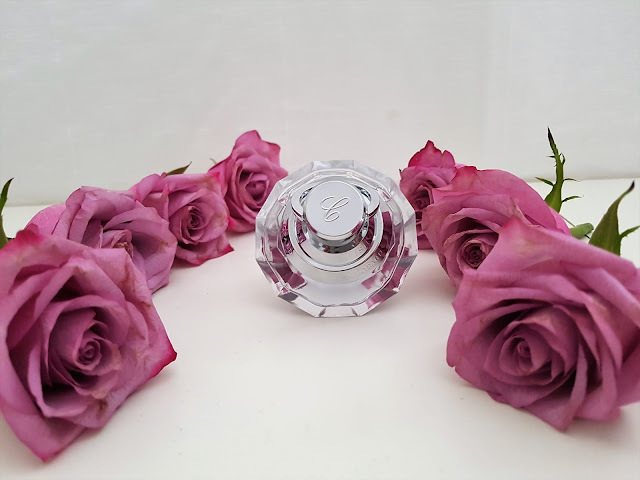 So one unforgettable day I walked into a cosmetic salesroom and on the shelf behold the perfume with the emblem on the box identical to that on my blog and duplicating the medallion on my bangle. 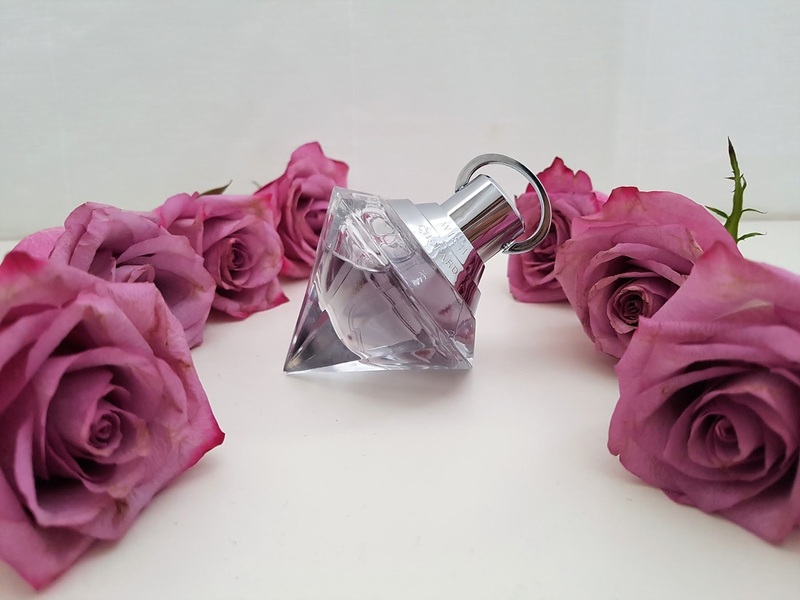 I knew immediately that I have to smell it, and when I approach closer I was thrillingly amazed – the bottle was in the form of a diamond as well. 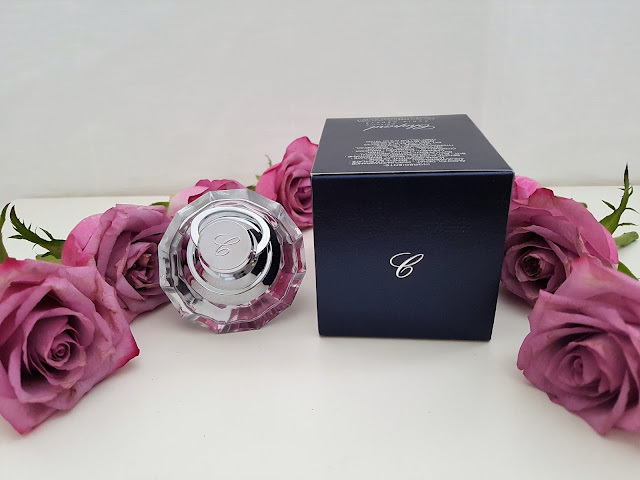 I doubted my eyes, at that moment of mindboggling excitement I could not grasp such serendipity, and equally intense surprise was enkindled by the fact that the perfum is an article from Chopard jewelry house, globally renowned for its uniquely refined watches and breathtaking bling. Up to that instant I wasn't aware that their assortment include perfumes. In 1860., in the village of Sonvilier in Switzerland, Louis-Ulysse Chopard, son of a farmer, founded a specialized watchmaking craft. In his studio this clock maestro devised the artworks of innovative design, with highest standards regarding quality, punctuality and reliability, enabling himself to „conquer“ his homeland and the rest of the world at the age of 24. He was succeeded by his son Paul-Louis who dislocated the business headquarters to Geneva, resuming to model exceptionally accurate watches with a superior degree of technical sophistication, gradually expanding the enterprise on production of majesticly beautiful jewelry. In 1992. 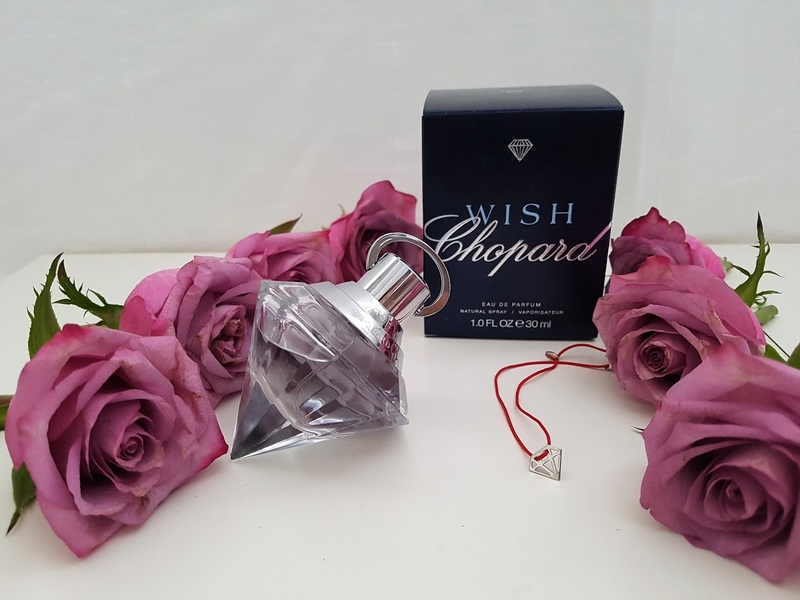 Chopard merged with L'Oreal and launched their first perfume on the market, soon followed by others, among which Wish. Minutely precision and dedication to details with which they're creating the watches is attested in evenly meticulous selection of perfume ingredients. The upper tinges of this fabulous fragrance swirls in honeysuckle, acacia, orange blossom, coconut, gooseberry, Brazilian rosewood, pair, black currant and Japanese yuzu orange, the central notes consists of honey, violet, orchid, milk, sunflower, lily of the valley, jasmine, magnolia and osmanthus, while the base is enveloped by sandalwood, amber, patchouli, vanilla, caramel, incense and tonka bean. All of them inaugurates an aesthetically complex, creamy-delectable aroma that awakens the copious multitude of senses and exceedingly emanates with the lavish aura of seductiveness. Chopard Wish resides in „like or dislike“ category, there's no middle ground or grey area. I belong to the former group and love to wear it at night, when I especially appreciate the sweet veil that enshrouds me. It's unswerving for hours, sometimes lingering in the clothing for days. As I already mentioned, the bottle is in diamondesque physique with a silver coverlid. Each time I peek at it, I'm under impression that instead of the perfume my shelf is ornated with the huge diamond! 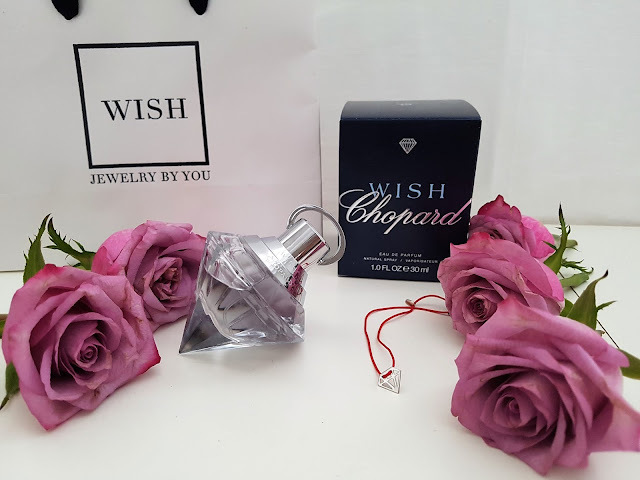 It's still hard to believe in the strikingly peculiar similarity of the diamond shapes on my bracelet, in the blog logo, on the box and in the bottle itself, even harder in accidentalness that the name of the store where I discovered the pendant is very same to that of the perfume – Wish. Above all, the key feature of Chopard jewelry are diamonds. Perhaps in the future I will be able to perfectly comprehend this seemingly intricate and unexpected congruence, but for now it just leisurely entices a joyful smile on my face. 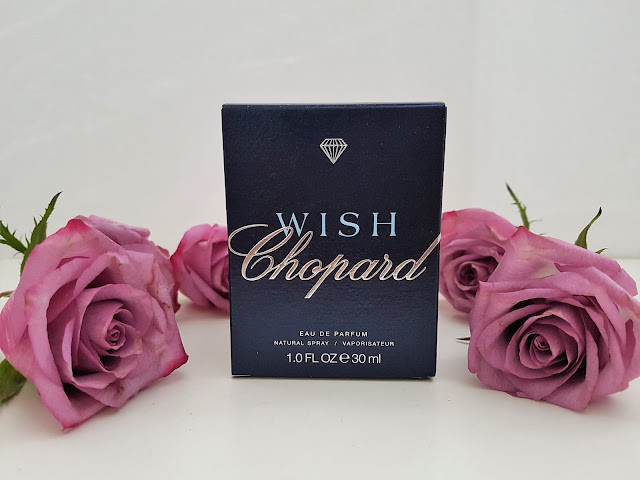 Are you familiar with Wish or some other Chopard perfume? What are your impressions? Write me in the comments. 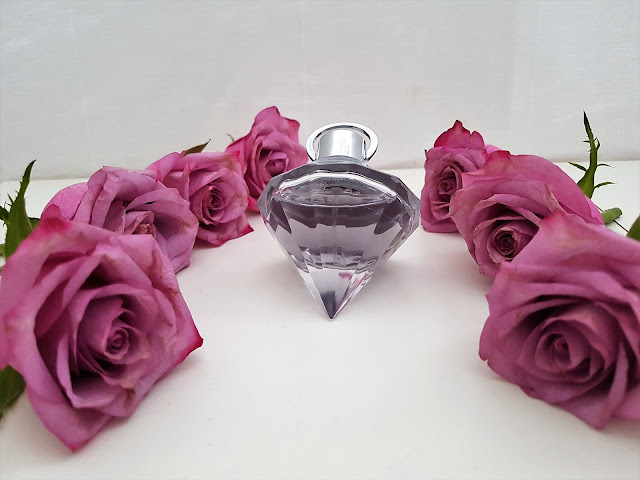 The perfume bottle looks gorgeous! This is the first time I've heard of this perfume. What a fantastic story! Sounds like it was absolutely meant to happen. And that bottle is gorgeous! What a beautiful packaging, I would use it for decoration! Have a great day. The bottle looks very fantastic! 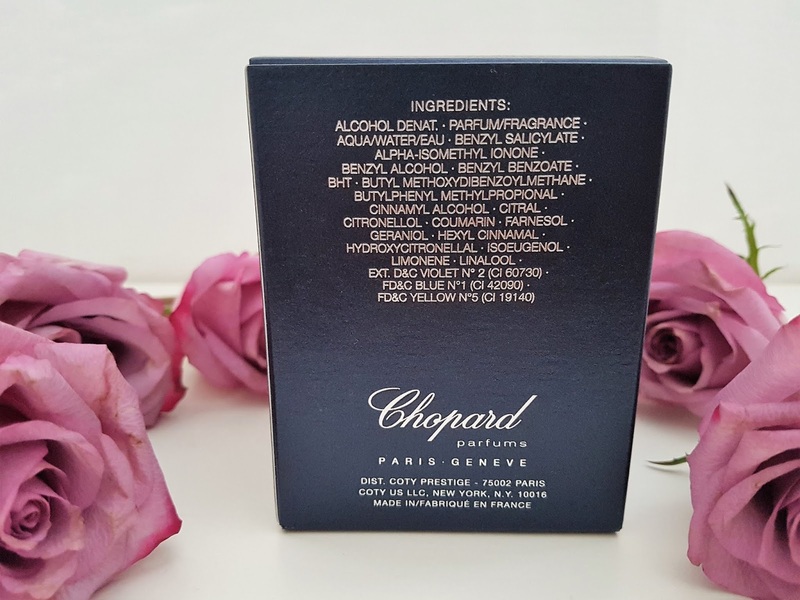 I've never tried a scent from Chopard, got to try this one for sure. The packaging is really pretty. The bottle is so gorgeous... I'd like to try this perfume! Have a beautiful day. I also believe that things often happen for a reason. Sometimes there is something leading us towards a certain thing, it is as we were destined to like it or try it. Wonderful writing and story. I haven't tried Wish, but the diamond packaging is beautiful. I'm sure it's a lovely perfume. 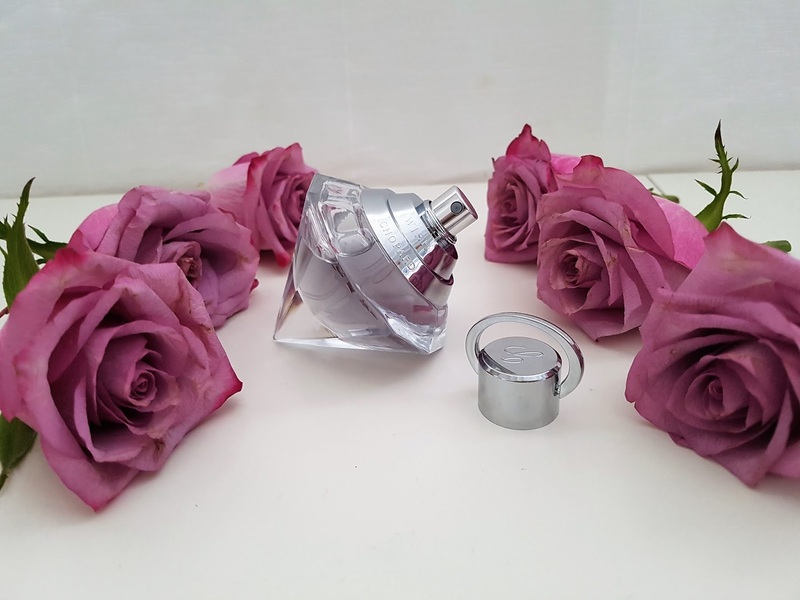 The bottle looks amazing, curious to try out the perfume! Wow this perfume is so luxe! Wow that packaging is so dope. I haven't tried this before. Thanks for sharing. I'm not familiar with this scent, but the bottle is gorgeous! This was a fun read. 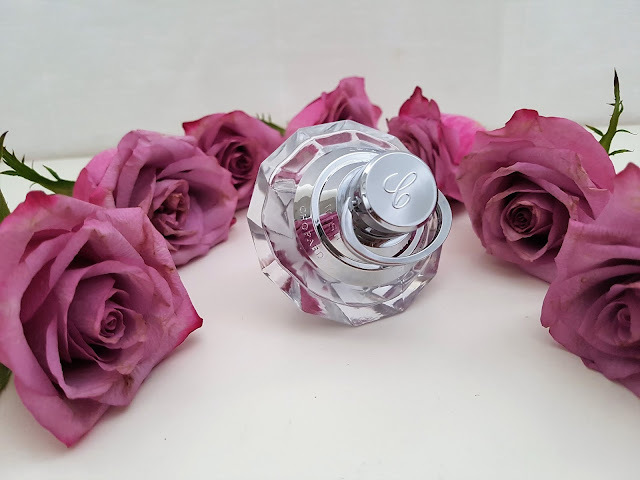 I haven't tried this perfume yet but the bottle is simply beautiful! Thanks for sharing! I have never heard of this but it's perfect with all of the same images!! 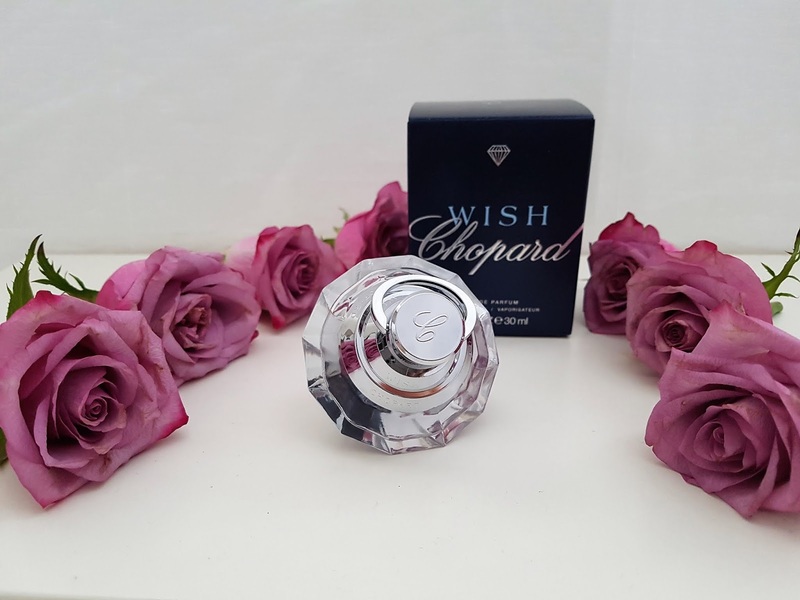 Ohh, love this Chopard perfume. Mow I have the same bottle. Wonderful photos and interesting post dear! Already the bottle looks so luxury! Now I want to try it out! What a neat story! I'd buy the perfume just for that bottle but it does sound like an amazing combination of scents to create this fragrance. Thank you for another great review! This is so nice and the packaging is just beautiful!! This bottle is a piece of art! I believe in that story that our life is puzzle we just have to wait to see all the pieces come together. Like what happened with you and the diamond story of your life. The botle is lovely and so the way you describe it. I haven't heard of WISH's perfume yet but I am LOVING their packaging, even though I am a bit confused about how to stand it up. Thanks for sharing your thoughts! Beautiful words and I like the perfume. Looks so nice! One puzzle piece fits perfectly to the next! Great that you found a perfume that fits your diamond love. It seems wonderful! Love the package! I never tried this perfum but the package it's so beautiful OMG, I love it!! !